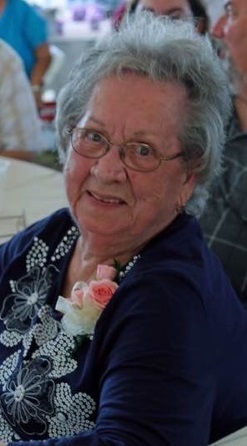 HANNIBAL, NY – M. Jane Sidman, 91, passed away on Tuesday, November 20, 2018, at Oswego Hospital. A native of Pompey, Mrs. Sidman had resided in Hannibal most of her life. She retired as snack bar manager at Beaver Meadows Golf Club in Phoenix after 14 years. She had previously worked at Syroco in Baldwinsville. Mrs. Sidman was a member of Hannibal United Methodist Church, Hannibal. She was a past Matron of Huldah Chapter 485, O.E.S. in Hannibal. Mrs. Sidman was predeceased by her husband, Donald E. Sidman, in 2007; son, Donald F. Sidman, in 2005; daughter, Susan Sidman, in 1954; and brother, Donald Carey. 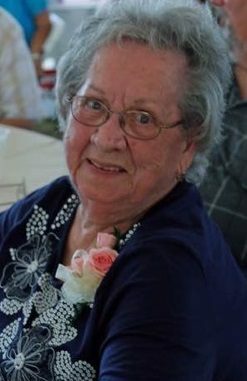 She is survived by four children, Beth Bivens, Diane (Rick) Miller, Danny Sidman and Amy (Michael) Sanders all of Hannibal; eight grandchildren, Tim, Matthew, Melissa, Michael, Danny Jr., Ashley, Lindsay and Alison; 16 great-grandchildren; one sister, Arlene Bergman of Oswego; as well as several nieces and nephews. For those wishing, contributions may be made to the American Heart Association or American Diabetes Association in Mrs. Sidman’s memory. Diane, Danny, Danny Jr and Ashley… I am so sorry for you loss. Beth and Diane sorry to hear about your loss of your Mom. Our Sympathy Beth, Diane, Danny and Amy and Grand kids, Hugs to all of you! We were at Fosters yesterday, I said to Louie I got a glimpse of someone, think it was Diane. I should have got a better look and come down, and Hugged everybody! She was a beautiful lady and much loved. She knew that she was moving on to her home in heaven. To the family. Your mother was a good person – always a ready smile. We both had the interest in cake decorating many years ago. I remember when I showed her how to make the sugar bells for decoration on wedding cakes. We had a good time with it. Lots of laughs. She will be missed by many but all glad to have known her. Your loss is Heaven’s gain.